As a guy who is good with words once said: “the times they are a-changin'”. We’ve been neglecting our poetry department for far too long; it’s not seen much love at all in 2016. That’s why we’re drastically mixing things up starting from now with our poetry submissions. Poem of the Week will no longer continue. We’ve been thrilled to receive so many great poems from talents from across the world during its long and successful run. However, it isn’t sustainable. Trying to pin down enough Vultures for a specific time each week to judge the entrants has proven to be a challenge too often. The principle of Poem of the Week won’t be going anywhere. We will still be accepting poems, but this time for our ‘Poetry Spotlight’. Send us three of your best poems and if we like them, we’ll publish them. It’s as simple as that. You can earn as much as any of our regular contributors. Details are here. Submit your poems here or via the embed below. PLEASE NOTE: we cannot replicate white space poetry on the website. We can only accept traditionally formatted submissions. A series dedicated to finding the best spoken word videos out there and bringing them to our audience. We don’t see enough spoken word on our News Feeds and websites. No, because we will be promoting you! 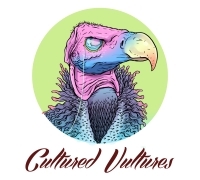 We will soon be looking at introducing an “open-mic” series to Cultured Vultures. Whether it’s us talking to poets or them reciting their work, it’s something we’re working hard on bringing to fruition. Sadly not. There won’t be much room for profit in a poetry podcast – it’s all meant to be fun. We will be hand-picking our favourite poets on a monthly basis and (hopefully) interviewing them to see what drives their work, how they stay inspired, and their thoughts on the poetry community at large. – Some URLs where we can see your work. Nope, we will be promoting your work. Contact [email protected] if you want to be considered. Want us to help create videos for your spoken word? Cool. Let’s do it. 50% any ad revenue generated from YouTube. It’s going to be minimal, though.